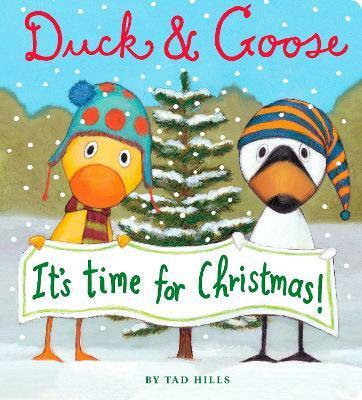 Celebrate Christmas with Duck & Goose in this large-format board book! Duck & Goose, How Are You Feeling? Duck & Goose, Let's Dance! Tad Hills is the author and illustrator of the ALA Notable Book Duck & Goose--called "expressive and adorable" in a starred review from Kirkus Reviews--and Duck, Duck, Goose, both New York Times bestsellers. His Duck & Goose board books include the ALA Notable Book, What's Up Duck?, and the Indie bestseller, Duck & Goose Find a Pumpkin. He is also the author-illustrator of How Rocket Learned to Read, a New York Times bestseller and a Parents' Choice Award Winner.